Ruth Hurdle is a painter, muralist and art teacher. 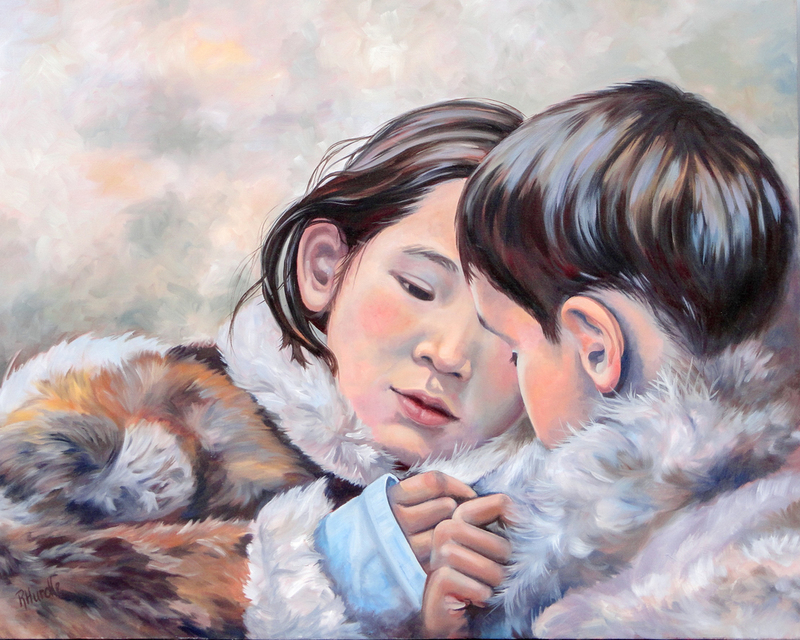 Ruth Hurdle is both self-taught and has studied with numerous professional artists. Ruth has been dedicating herself to her profession for over 15 years. Ruth Hurdle has been involved with Quest Art School + Gallery in Midland, Ontario since its early beginnings and has been instrumental in helping it reach its stature. My work often involves the land as it is a constant inspiration. Landscapes combine two of my favourite things; paint and the environment. Currently I am trying to push my boundaries to a more expressive style although the theme is always recognizable. My skills have been honed through realistic portraiture which is very precise and my work painting murals has pushed me to be disciplined to endure through one large piece of art. Every piece of art is a learning experience. I am driven by my innate passion for paint as a medium, the colour, the way it moves and blends. I never cease to be amazed by satisfaction I get when I work with paint. I am also driven by sharing what I do with the public through murals. What a great gift to bring to a community; large scale work, that delivers a story, history, a feeling and it is free for them to enjoy. It doesn’t get any better than that! free art!